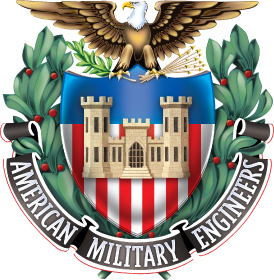 The Society of American Military Engineers (SAME) will be holding a pair of annual events starting on Friday, Nov. 4, with the 2016 Scholarship Golf Tournament at the Taiyo Golf Course and continuing with the Professional Engineers Symposium at Aeon Mall Okinawa Rycom Nov. 7-8, 2016. The 2016 Scholarship Golf Tournament will be the sixth incarnation of SAME's sole annual fundraising event, intended to raise money for deserving students seeking to pursue careers in science, technology, engineering or math (STEM). The tournament is a great opportunity for firms, Department of Defense/military members and others to meet and network. 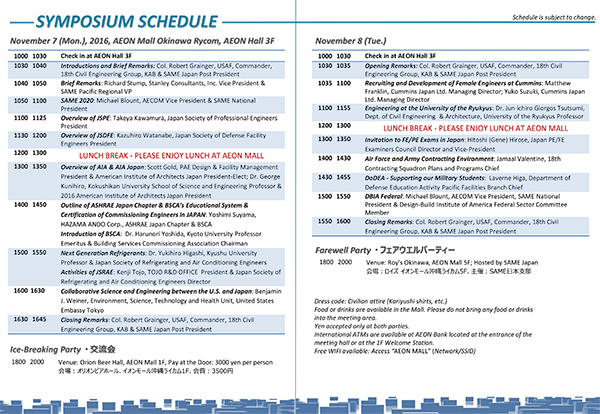 On Nov. 7-8, the Okinawa Professional Engineers Symposium will take place at Aeon Mall Okinawa Rycom. Presenters and attendees include SAME members, non-members and leaders from the American, Okinawan and mainland Japanese private sector.